Decorate your baby’s nursery with a sweet display of instax photos you’ve taken of your growing family. Use a few medium-sized jars and place your instax photos around the inside of the jar. Add decoration by placing flowers in the centre. Arrange the jars on a shelf or a side table. Design your own scrapbook using your baby’s nursery room colours as the theme. For example, if your nursery is blue, yellow and green, use the same colour schemes in your scrapbook. 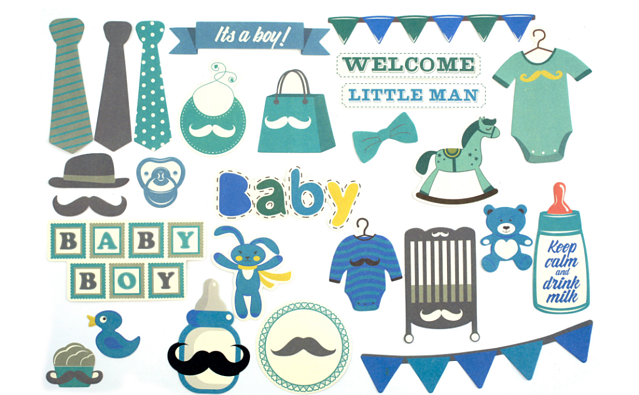 Decorate using the many baby-themed stickers and cardboard cut-outs available. Continue adding to your scrapbook as the years pass to document major moments of your child’s early life. A collage is another way to collect and display your favourite instax shots. Use a piece of thick paper or cardboard as a backing to your collage. Organize your photos around the backing material to find the perfect arrangement. Choose your favourite washi tape to paste your photos to your collage backing. Hang it on a wall, or gift it to a grandparent. The best part of collecting these sweet moments today is being able to reflect back to the special milestones with your child when they’re older. Making the effort to document this first year will mean a great deal to your little one someday, and the two of you can look back on these first happy months for the rest of your lives. Trying to choose the best point-and-shoot instax cameras? Compare specifications and features.